Here is a large rock with at least two Archimedes bryozoan spirals showing. The rock also contains maybe 3 blastoids and maybe 1-2 stem pieces. 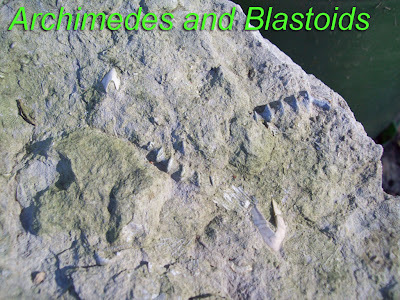 The fossils are from the Mississippian period.